Trócaire Collections – Unbelievable Generosity! Details of Tuam Archdiocese collections for recent years, courtesy of diocesan Trócaire Rep, Fr. Michael Molloy, PP, Moore.  Over 8 million euro donated by people in the Archdiocese in the past 20 years. Per capita we are one of the most generous dioceses in the country. Thanks be to God for the goodness and generosity of so many! Trócaire Tallies for the past 20 years for Tuam Archdiocese, true generosity of spirit! The weekly RTÉ 1 television Mass on Sunday March 16th is the annual Trócaire Mass and this year the participants are predominantly from Tuam Archdiocoese. Don’t forget to tune in!